Soundgarden singer Chris Cornell will be laid to rest during a private service in Los Angeles on Friday, May 26, according to his attorney Kirk Pasich. The Detroit News reports Cornell’s body will be flown to California on May 21 ahead of the funeral and that the late rocker will be be interred at Hollywood Forever Cemetery. Pasich also revealed that “one or more public memorials will be considered” as the Cornell family deals with their sudden loss. Cornell died at a Detroit hotel on May 17 just hours after a Soundgarden concert wrapped up at the city’s Fox Theatre as part of the Seattle group’s spring tour of North America. 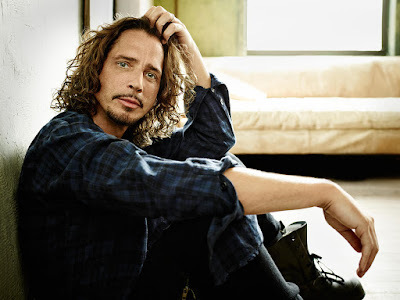 The singer’s body was discovered in the bathroom of his room at the MGM Grand Detroit by his bodyguard, Martin Kirsten, after Cornell’s wife, Vicky, requested the security man check on him following a phone conversation between the couple after the show. According to a Detroit police report, Kirsten found Cornell lifeless on the bathroom floor “with blood running from his mouth and a red exercise band around (his) neck.” Local medical personnel attempted CPR twice on the musician, unsuccessfully, before he was pronounced dead at 1:30 a.m. on May 18. Cornell’s death has been ruled a suicide by hanging following an initial autopsy by The Wayne County Medical Examiner's Office, with a full report to follow at a later date.